Our Outdoor Center boosts beautiful views of Green End Pond and amazing outdoor accommodations for your next family gathering or business outing. With a low and high ropes course, outdoor pavilions, and plenty of open space; the Y is able to accommodate any event! Check out an outdoor experience like nowhere else on Aquidneck Island. Challenge Courses are an exceptional way for people to manufacture trust, build confidence, overcome fears or challenges, strengthen bonds, and have fun in the process. With proper guidance from our expert facilitators, your group will learn, grow, and bond in ways that are not possible in an everyday life. Participants will get to know each other through a variety of games and initiatives. They will learn to work together to achieve common goals under challenging circumstances. Our Outdoor Center is an ideal setting to explore challenges designed to enhance commitment, collaboration, and overall success of your group. 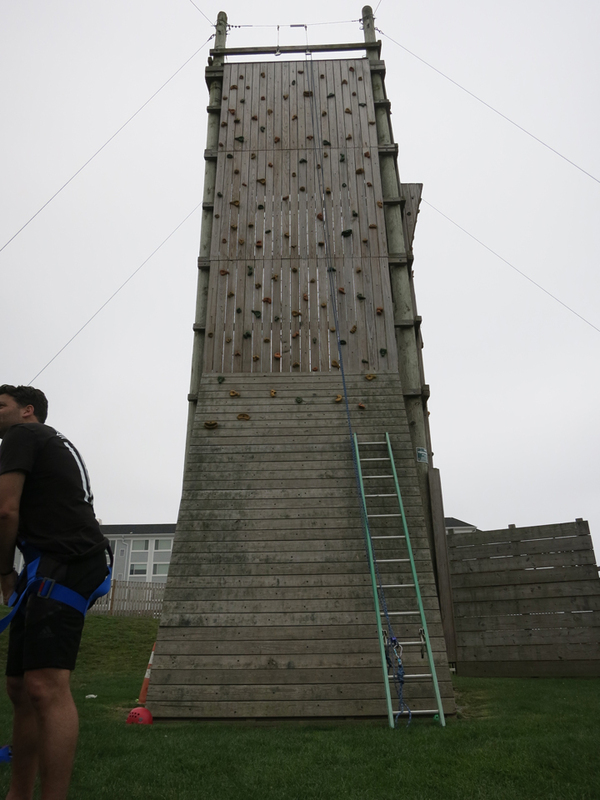 Our challenge course was designed and constructed by High 5 Adventure and is inspected annually for safety. All staff are Belay and CPR/1st Aid Certified. The Center is open April through November. Weekday and weekend options are available.